About Dimension – DMI, simply we design, supply and fit beautiful Kitchens, Bathrooms and Bedrooms. Please take time to explore our website …. as a guide to the services we offer. Based in Kilmarnock, we are an experienced team that help you through the whole process of finding and fitting a kitchen, bathroom or bedroom. 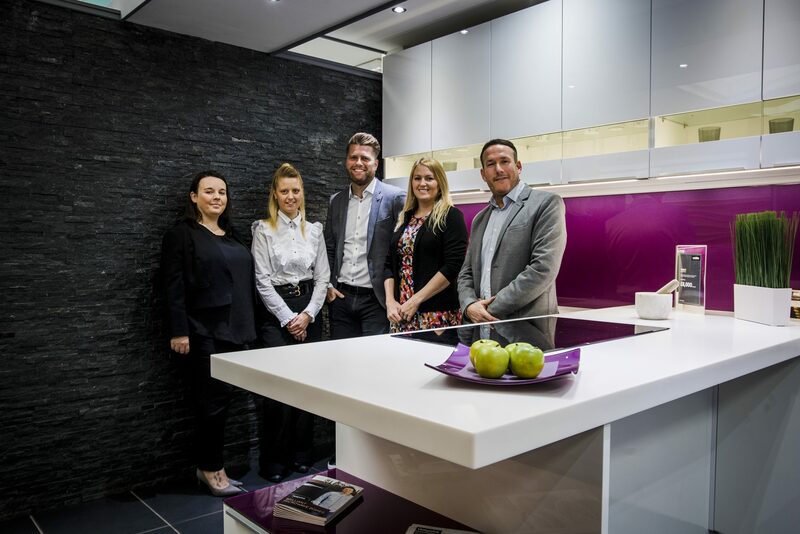 Our creative design team have over 20 years experience and pride themselves on designing a kitchen, bathroom or bedroom for your needs. Our vast 4000sq ft showroom at West Shaw Street, Kilmarnock is inspirational, all set in a relaxed and well laid out area with interactive appliances and fittings. 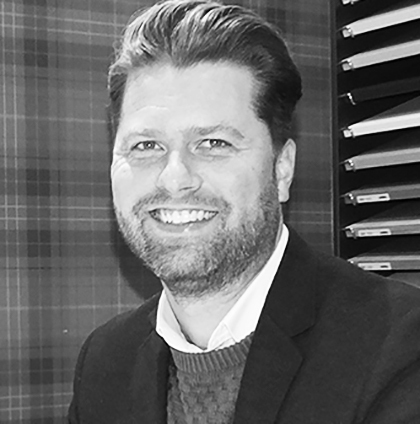 Tristan creates the vision, his degree in Business IT and Multi-media design gives him the tools to create stunning 3d visuals. With his innovative and creative thinking he has produced award winning designs and his artistic flair is reflected in his work. 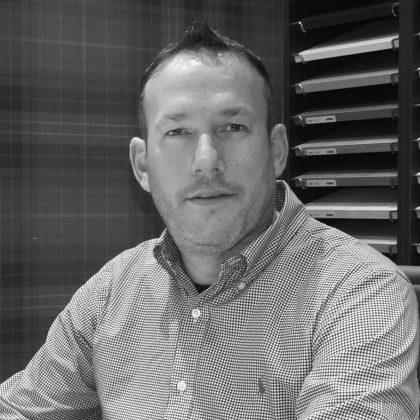 Brian has an eye to create beautiful rooms, his experience in the fitting industry is a huge asset to the business. His attention to detail and passion for getting everything ‘just right’ assures you that every room is designed for you and your requirements. 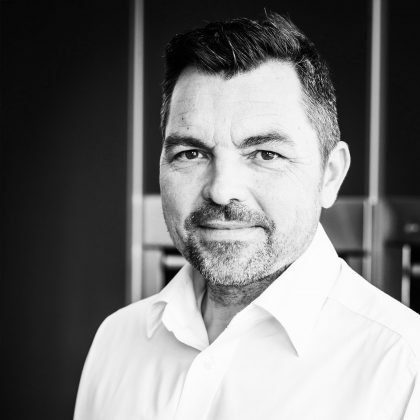 Craig makes plans a reality, co-ordinating our team so the installation runs as smoothly as possible. Craig is a superb joiner, his experience is an asset and he is on hand if you have any questions or concerns about your installation. 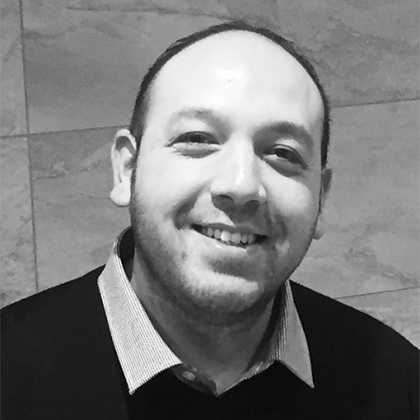 Pascal has been a plumber for over 15 years so well qualified to help you plan and fit your new bathroom. He can bring a new dimension to your bathroom and will make sure everything runs smoothly! 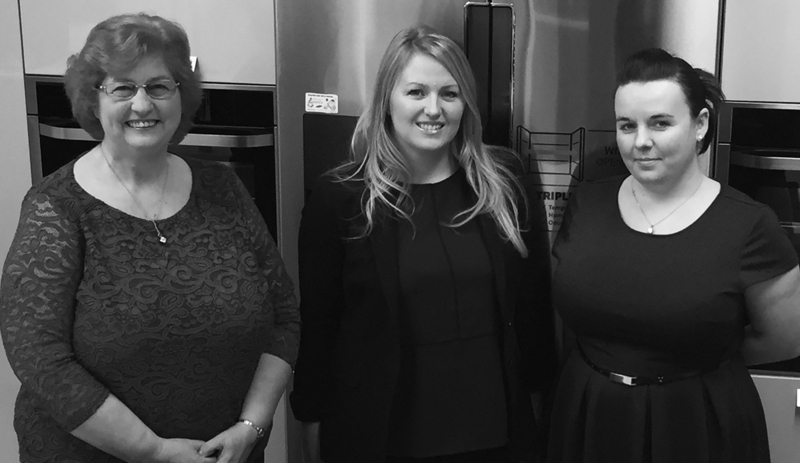 The girls, Helen, Claire and Christine are the Office Angels, the back bone to our business and on hand to make sure everything runs like clockwork. They are here to help you and based in the showroom. 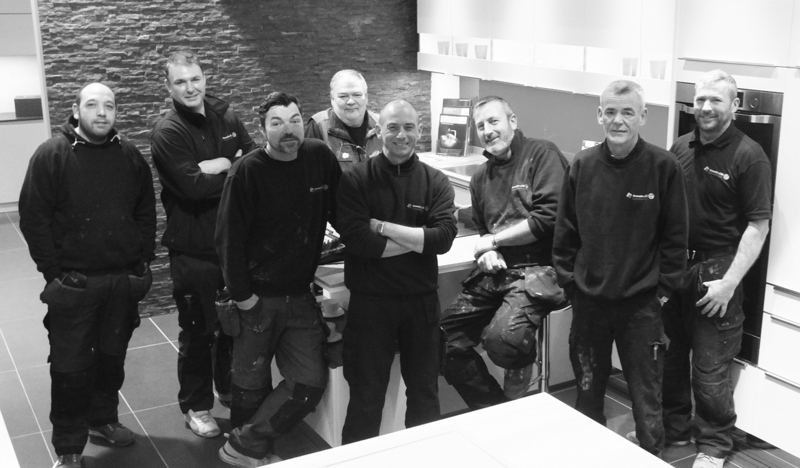 Meet the dimension-DMI skilled fitters, joiners and electricians – a great team, all working together to install your room. From left to right, Pascal, Steph, Craig, William, Greg, Tony, Davey and John. Wonderful team who care about the detail. I still love my kitchen and bathroom from DMI four years ago. They are still like new! The new company is bigger with far more choice. Stunning showroom – well worth a visit. Fantastic kitchen design, tailored to my budget and installed to perfection. Thrilled, thanks guys.